finally someone or people are thinking now. i think its even best they remove north from the map of nigeria. seriously,what do they contribute to the well being or economy of nigeria.agricutural produces can now be gotten from the middle belt states so i ask, what the heck are we doing with people who are heritage wise ignorant and have refused to be enlightned?nigeria is blacklisted as terrorist state because of them and they still have the opportunity to travel abroad unlike the rest.....i wish to be president for just one day....thankyou. In Nigeria, we cant even begin to do these things because all focus, money, energy and time are spent on some illiterate and barbaric group that have held the nation to ransom! !They have succeeded in telling Nigeria that they are NOT subjects to its laws, and will wreak mayhem if they dont get their way. Someone needs to tell Goodluck that the whistle has been blown and that they game has begun, he needs to play!! to use his power and authority as head of state, power is there to be used, not to be admired and rejoiced over.He should stop standing in the sidelines wringing his hands in dismay!! I am so happy for the redeployed corpers, let all doctors, lawyers, traders, builders, teachers and taxi/okada drivers also leave!! let them hang on to their miserable and forlorn state and bomb each other for lack of anything else to do.They should in fact all be caught and walled in to the geographical borders of that state. Those alive in the next 50 years can check out what would have happened to them without 'western education' that they despise so much. 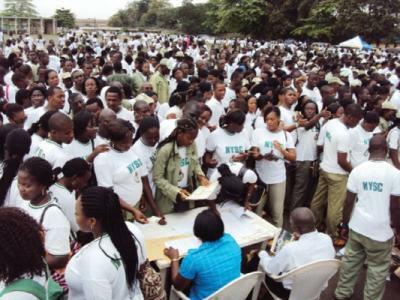 What of the NYSC reforms? They should kick in ASAP. Hoping the reforms centre on Corpers serving in their geopolitical zones and/or serving where they live.